The sale starts Monday, Nov 23 sometime between noon and midnight and continues through the end of day Tuesday, Nov 24. 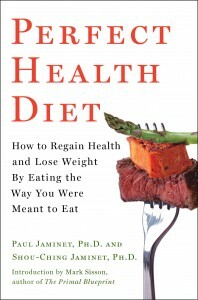 A group of great Paleo books will be $2.99 or less, including Perfect Health Diet. You may never see Perfect Health Diet at a price this low again, so this is the time to snap it up! Please join the event and stock up on these great books!